3Bedroom , 2 Bath Condominium 3rd Bedroom as Office/Extra Bedroom King in master, Queen in guest, Sofa Sleep 4 floor, bay, under bldg parking, nicely furnished. 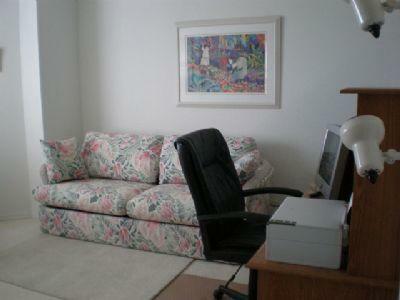 PC with Windows XP Internet TV in living room and master bedroom. 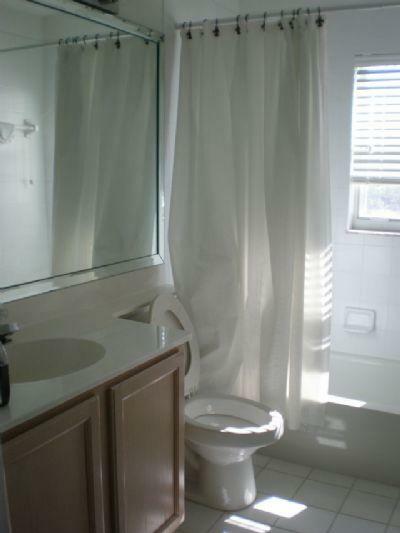 Monthly rentals go from the 1st to the 1st unless otherwise authorized by owner. Fitness Center and saunas and social room in each building. non smoking unit.Call office for monthly booking. Welcome to Paradise on Fort Myers Beach! 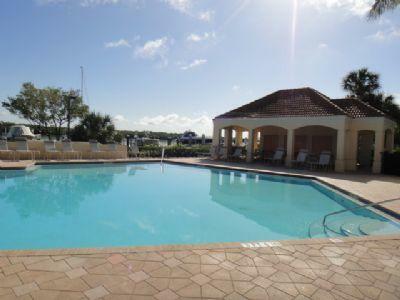 This 3 bedroom/2 bath unit is located in Waterside at Bay Beach, a magnificent gated community of luxurious high-rise residences located on the south end of Fort Myers Beach. 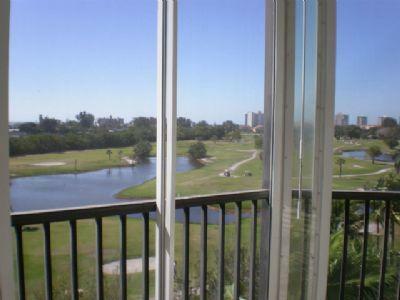 This tastefully decorated 3 bedroom 2 bath condo (3rd bedroom is den) is located to enjoy lovely water and garden views. Waterside is located on the south end of the island, just south of Santini Plaza (a perfect place for shopping and restaurants) on Bay Beach Road. For those times when you want to prepare your own food, the fully-equipped kitchen provides all you need to serve up a great meal; you can also avail yourself of the on-site BBQ to grill fresh-catch fish or whatever other scrumptious choice for dinner. The living area is perfect for reading a book, watching a movie on the flat screen TV, gathering with friends and family or just for quiet enjoyment. The lanai is your gateway to the outdoors and private water and garden views and our fresh air! This condo sleeps 6 comfortably. The Master has a queen bed and a flat screen TV for those times when sleep is elusive (not very often on the beach with all the activities available to keep you active all day)! The 2nd bedroom also has a queen and TV. The 3rd bedroom/den has a sleeper sofa. You can either spend time on the bay or walk down Bay Beach Road, cross the street and be on the Gulf. 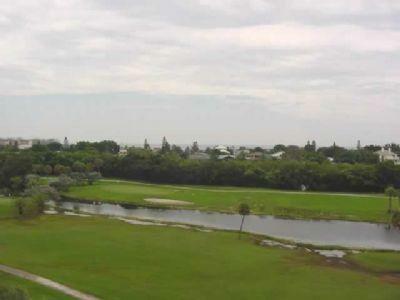 Once you walk out to the beach, you can walk for miles in either direction - either south towards Lovers Key State Park (abounding in nature walks and shelling on the beach) - or north towards Times Square, where there are shops, restaurants and all the activities the island has to offer. Santini Plaza is a short walk 1 block north, where there are shops and restaurants to satisfy any palate. As the property manager and rental agent for Waterside 143 on Fort Myers Beach, Florida, Kathy Nesbit Vacations, Inc. offers the best in customer service and accommodations. We have been graciously greeting our guests from our familiar local office location on Fort Myers Beach for over 40 years and have earned our excellent reputation. Should any questions or concerns arise during your stay, you can stop by to see us. By popular vote, we have been named The Best Of Fort Myers Beach Winner for Real Estate Vacation Rental multiple times! The Kathy Nesbit Vacation Rental team has played hosts to thousands of guests and visitors to the Island over these many years and helped them to enjoy the best vacation experience possible. We love acting as tourism ambassadors for Fort Myers Beach!